Topics: Environment is at the end of this month, and we will be welcoming a group of speakers that are absolute pro’s in the low impact world. Ahead of the event, we’re going to start some conversations around being more sustainable, and environmentally friendly - starting with shopping zero-waste! 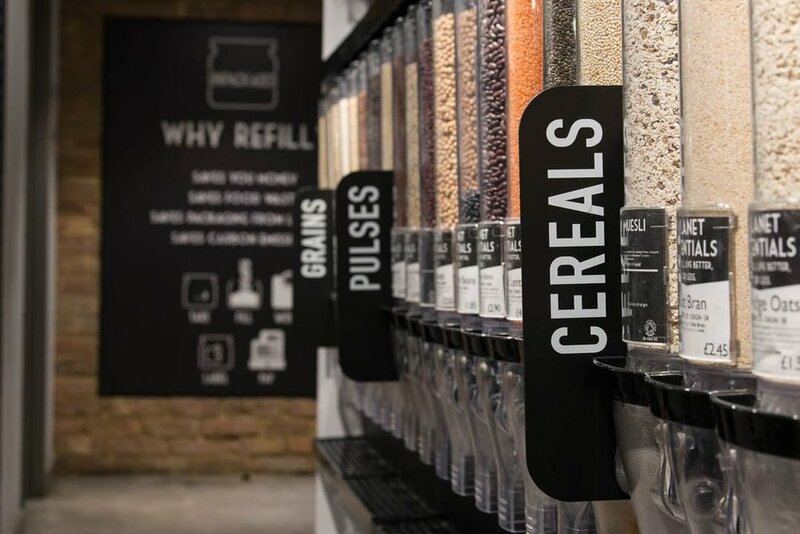 Mega Instagrammable, and mega eco-friendly bulk buying stores are popping up everywhere in London, and we aren’t complaining! Displaying your pulses, cereals etc. in glass jars doesn’t just give your kitchen a beautiful, minimal look, it reduces food waste, conserves resources, and reduces waste from packaging as well. So grab your mason jars, and head to these amazing places where you can shop zero-waste! 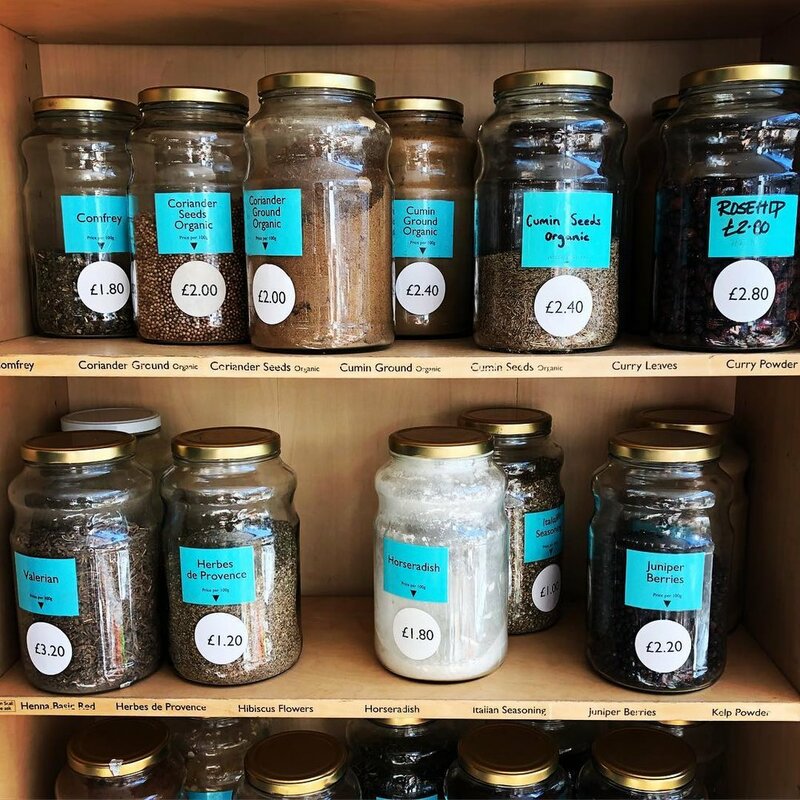 Situated on St Johns Hill, Hetu was London’s first vegan zero waste shop! Hetu founder, Laura, actually spoke at Vevolution Topics: Environment last year and we learned about her journey towards going zero waste. Earth Natural Foods is a wholefoods shop in Kentish Town. They prepare fresh vegetarian and vegan hot dishes and salads everyday, and sell organic foods and ecological household goods. You’ll also find vegan products, loose teas, herbs, spices and more. 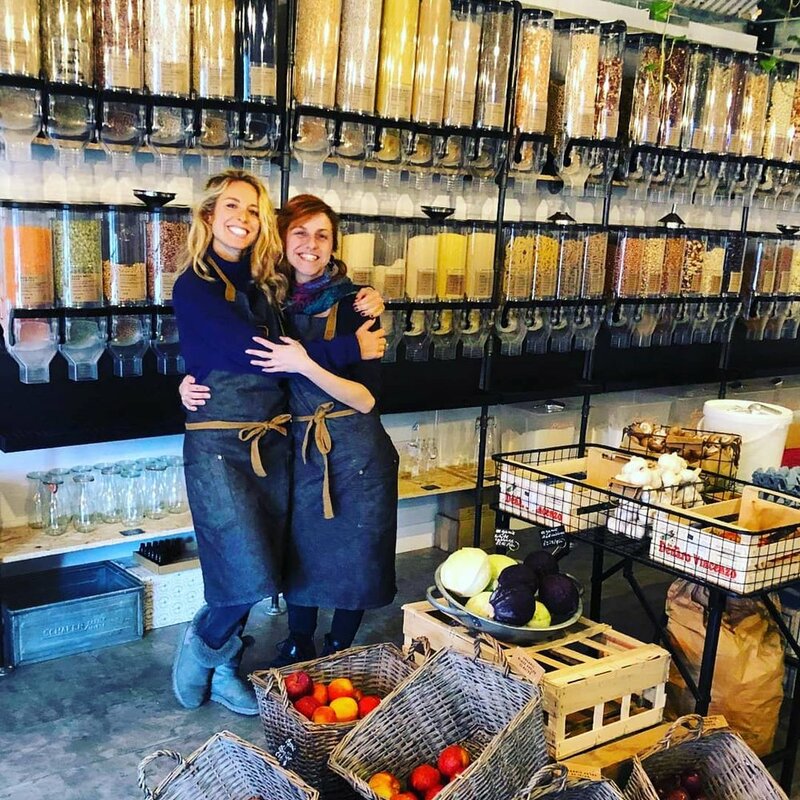 Situated in Battersea, Source Bulk Foods is a health food store fighting waste and helping locals shop healthy. They have over 450 bulk foods including organic wholefoods, cooking liquids and oils, and more. Bulk Market is a community zero waste grocery store in the heart of East London. They were recently featured in TimeOut in a feature about going plastic-free. This shop stocks many food essentials, such as locally sourced fruit and veg, freshly baked bread, grains and more. They have plans to become a DIY natural beauty bar too. The Store Cupboard is part of Crystal Palace Food Market and so is only open twice a week. They sell refills of organic wholefoods, roots and laundry liquid refills, as well as bread and fresh fruit and veg. As Nature Intended is a store with multiple locations around London. They stock organic and natural foods, body care and supplements and free-from items, too. They also have bulk sections for zero-waste and reduced-packaging shopping. Their wide selections includes cereals, pulses, nuts, beans, coffee and superfoods. Unpackaged are at multiple Planet Organic locations around London, for example, Islington and Muswell Hill. You can find almost everything to satisfy your bulk-buying needs, from coffees, to grains. They also encourage people to set up their own zero-waste shops, and run their own helpful workshops. This month we are hosting Vevolution Topics: Environment at Camden Town’s iconic Roundhouse venue on the 28th of April. We have a line-up of some amazing environmentalists that will be discussing living a low-impact life and being part of the solution.